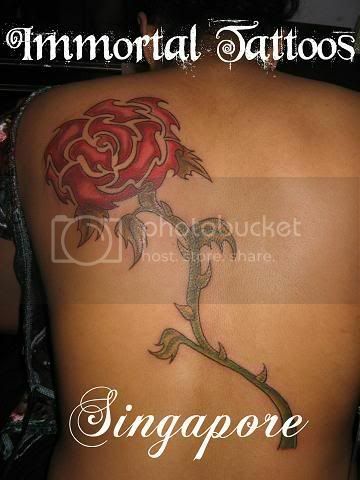 Immortal Tattoos wishes everyone a very Happy New Year !! 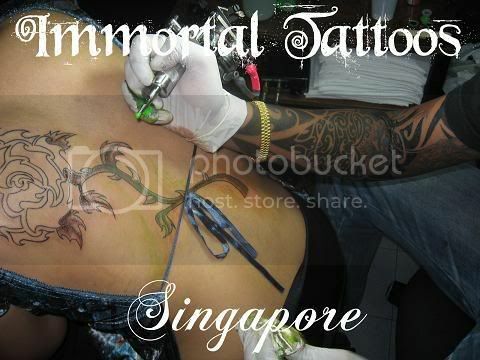 2007 has been a great year for Immortal Tattoos and hopefully 2008 will be much better. Once again, I thank everyone who have been through this rough ride with me and I thank all my clients for helping me to discover what I have to give you guys the best !! A old friend of mine came in one day with a design which she wanted, taken from a newpaper cutting. After days of preparation, we finally made it happen. After close to 2hrs, we were done !! 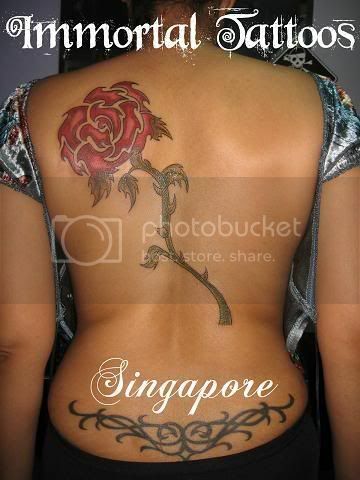 Back shot with a lowerback tattoo ( Which was also done by me ). Signing off from 2007 !! See you all in 2008 with a bang !! 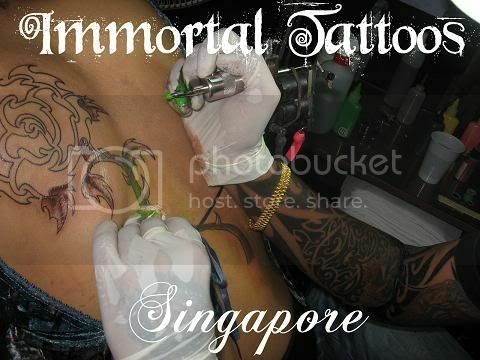 Immortal Tattoos wishes everyone a beautiful Merry X'Mas !! I would like to thank all my friends, my family, my clients and everyone who have supported me. You guys ROCK ! !